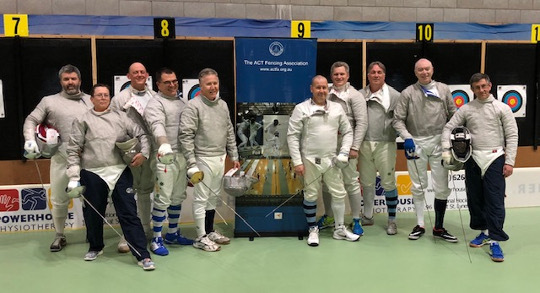 The ACTFA 2018 Veteran Sabre Championships took place at Masters Fencing Club last Friday. congratulations to Cameron Smith on his Gold Medal, and to all the medallists. Well done to all the participants and thanks to Carl again for his DT work over the last 3 Fridays. It's been a smooth and enjoyable series.